Sustainable Rogue Valley was started in mid 2015 by a group of Unitarian Universalists and their friends in Grants Pass, Oregon. We are open to everyone and hope if you are in the area and are interested in building a sustainable resilient community, you will join us. 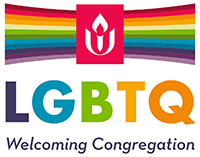 We meet once a month at 12:30 p.m. on the second Sunday at the Unitarian Universalist Fellowship. To foster a vibrant and resilient community that makes use of sustainable practices, empowers us to share our skills and gifts, and confronts environmental and economic instability with determination to create a better life for all.